Hi everyone! Brooke Hollen here! I’m the star of Desolate Paths.Thanks so much for having me today, Carrie! I’m excited to talk to you. Hello, Brooke. Tell us about yourself. How did you get into Erin Unger’s novel? Ha-ha, funny story—well really a scary one—I got into trouble and the best help I could get was in rehab. But, man, I didn’t expect all the drama there. And I should’ve read the website closer. I didn’t know what I was in for when I arrived. Erin knew I’d make some interesting choices and liven up her story once I got to the rehab center. Why did you choose Carrick Living Museum and Rehabilitation Center to help you through your addiction? I saw the promise of authentic help and rest and relaxation. I didn’t read all of the details because all I wanted was to rest my way through rehab. Little did I know relaxation only happened the first few days. I should’ve picked up on all the pictures of people wearing period clothing on the website. Authentic is an understatement about Carrick rehab. But God knew exactly where I needed to be. Oh, dear. What’s different about the center? It’s a center where all residents work throughout their rehab. Cory and Dara Carrick believe in the importance of learning how to be a valuable member of society while rehabilitating. All residents have to wear period clothing and must do all chores and cooking the way people would’ve in the early 1800s. What’s so scary about your stay at the center? Who would’ve guessed I’d be in danger at the center when it’s supposed to be a safe environment? There is a serial killer living amongst us. Oh, that’s terrible. How are you handling it? I’m trying to stay out of trouble and rely on my new faith, but I’m really scared. Kyle Reston, the person I want to trust, could be responsible for all the women disappearing. Maybe you should rethink hanging out with him. Do you have anyone else you can trust? I have a new friend, Willa, who has been trying to keep me straight. She’s a lot further in her journey to recovery. Hopefully, together we’ll make it out of the center alive. Well, I hope you stay safe. Thanks for talking to us. With God, all things are possible. And because of my new faith, I’ll rely on Him to get me through this dangerous time. It was fun talking to you, Carrie. Brooke is putting her trust in God through a very difficult time. What circumstance have you been in this year where you could only rely on God for the answer? 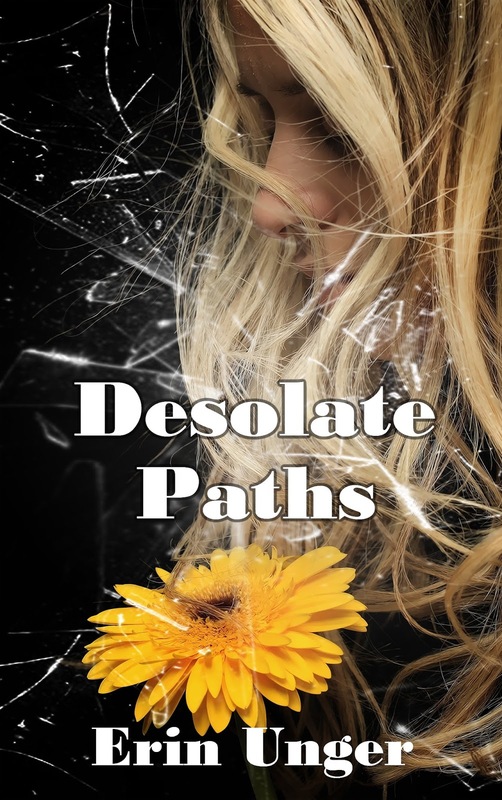 Comment below to win an eBook of Desolate Paths or a paperback of Desolate Paths. 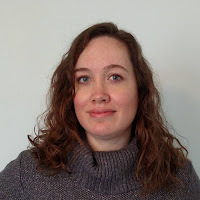 Short Bio: Erin Unger was raised in the hills of Virginia, exploring abandoned houses and reading the scariest books she could find. After marrying so young it would make a great romance novel, she has enjoyed an exciting life with her hubby.But her fast-paced life sometimes rivals the suspense in her books thanks to all her mostly grown children and a couple grandkids. Enjoyed the interview with Brooke. Sounds like a suspenseful story; one I would enjoy. Praise God he is there all the time, even when I don't 'feel' like he is. Thankful my faith in Him isn't based on me!!! My anxiety has been pretty intense for a few years but this year the Lord has been doing a particular work in helping me realize the triggers and being able to lay it at his feet quicker. He has given me courage to speak out about it and that has helped tremendously. I've always been an anxious person, Anne. It was all coming to a head about three years ago when I had to recognize it was coming from the devil. He wanted to bind me as tight as he could and I was letting him without realizing it. I went on a personal journey to stop letting stress and anxiety win. It was so hard after spending most of my life that way, but God was so good! He changed my heart and thoughts to turn to him and not straight to worry. That doesn't mean I don't fall back into anxiety sometimes, but it's a hundred times better now. And God has continued to calm my soul. Sounds like an interesting book. My husband and I have really tried to keep the Faith for over 8 years during his cancer journey. God has been so good to us. That would take a huge amount of faith to deal with cancer for so long! Blessings to you, Brenda. Thanks Melissa! You're so sweet. I like the precept of working during rehab. What better way to work through different life issues. Sounds also very suspenceful, a genre I really love. Thanks for the chance to read this! I feel like it would be good to work as people rehab and it was a very important concept for me to relay to my readers. Thanks for stopping by and commenting, Sonja. Good morning Carrie and Brooke! I enjoyed your interview. Desolate Paths sounds intriguing. Hey Tina! Hope you are well. Thanks for commenting! Very interesting interview! Desolate Paths sounds like a keeper. Thanks for the chance to enjoy this book. Thanks Betti! Character interviews are such fun. I loved this interview! I can't wait to read it ��! Hi Jessica! Thanks for stopping by. Great interview. Sounds like a great erase. Thanks for the chance. Carrie is a great cheerleader to us newer writers. It was great to be on her blog. The book sounds very interesting. This past year our income went down to about half of what we had before. God has been faithful. My word for this year is provision. Trusting God to always provide. My husband lost his job last year and couldn't find a new one for a couple months! And when he did it was making less money. Talk about hard times. I totally understand your plight! Provision is a great word for the year. Hello Carrie and Brooke! Brooke I can sense your terror. I'd love to read more! Hi Caryl! Thanks for commenting. I'm not usually one to read suspense stories, but this one sounds really interesting! What caught my eye about it, is them having to dress in period clothing. Thanks for sharing! Now to answer your question. I had to take my husband to the ER last week. They still don't know what happened and are running some more tests. We are trusting in God to help us find the right answer.